Copying assignments into the homework journal is just one job that student's have during their day. But what happens when the student attempts to complete that homework and words, page numbers, and letters are missing, making the assignments completely illegible? When kids copy words from text, there are many visual perceptual skills at work. Visual Memory, visual spatial relations, visual closure, and figure ground are just some of the skills that may impact ac child's ability to copy written work from a chalkboard, overhead, or text right in front of them. 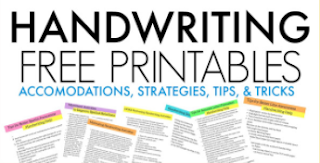 These tips and ideas are recommendations for helping children accomplish the task of copying written work both from across the room from a chalkboard or from a book or worksheet right on their desk. These tricks will help the child that is omitting letters, words, and numbers when copying written work. Visual perceptual skills are needed for so many functional skills. You'll find easy and fun ways to work on visual perceptual skills through play here. 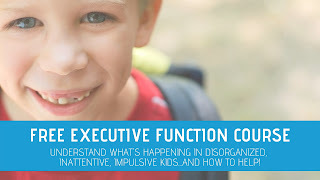 Remove extra distractions from paper/worksheets/texts. The extra pictures or page of text can be difficult for the child with figure ground problems to pull out the important information. Teach the student to review their written work. Allow extra time for completing copying tasks. When copying from the chalkboard, provide a copy of the written work that must be copied for the student's desk. Position it flat on the desk. Work on copying it from a vertical position on the desk before requiring the student to copy from the chalkboard. 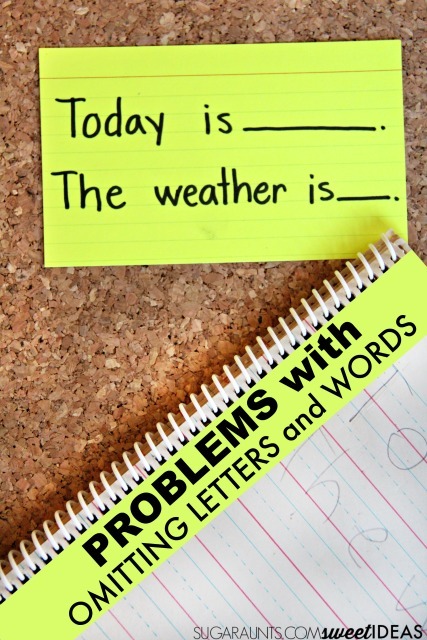 Teach kids to chunk information together, such as several letters or words for copying. Highlight information that needs to be copied. When copying from the board, chalk could be used to draw a square around important information. Instead of copying from the board, provide the child with a near-point copying point: Write the information on an index card or low-distraction paper that can be placed on the child's desk. Write with a larger font on the chalkboard or overhead. Write with a larger font on near-point copying paper on the desk. 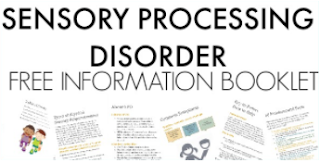 Provide less information/words for the child to copy. Provide more space for the child to copy to: Provide larger spaced paper. Graph paper for copying one letter/number per square. Position the child closer to the chalkboard or classroom homework station with less had turn needed for copying written work. When copying form a book, use a copying tool such as a folded piece of paper to line up with the work. Can also try an index card with a cut out "window" for copying to reduce distracting information. Work on visual tracking skills. Work on visual memory skills. Work on form constancy skills. Work on visual closure skills. Work on visual spatial relations. Work on visual scanning skills. 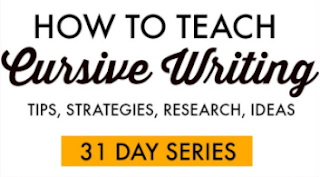 Try these ideas in the Easy Quick Fixes for Better Handwriting series. 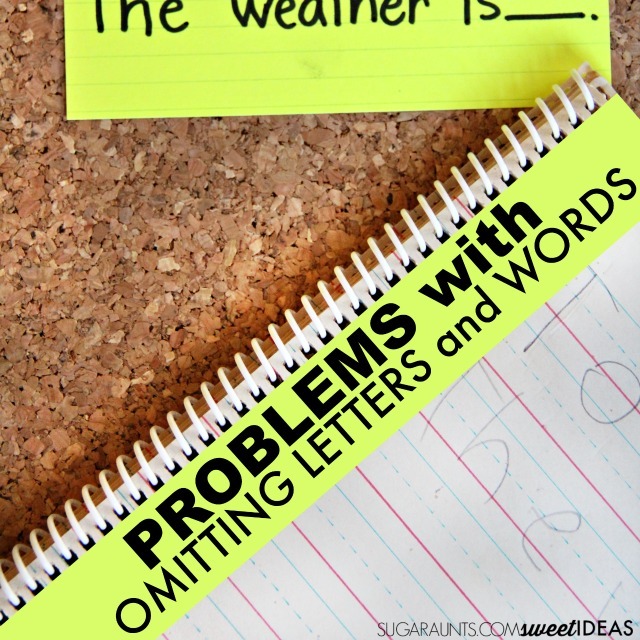 Join us in the Sweet Ideas for Handwriting Help Facebook group.